Filmmaker, photographer, feminist and potato-suit wearer extraordinaire, Agnès Varda's singular talent has made her one of the most original and adored voices in international art house cinema today. 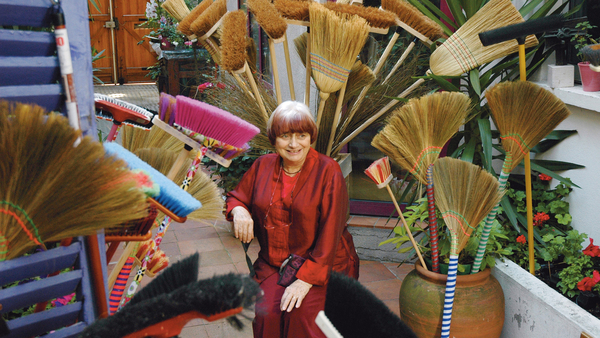 With eight of her remarkable films brought back to the big screen this month and, ahead of the release of her new film Faces Places with visual artist JR, we invite you to join us in celebrating the serious and playful films of Agnès Varda with this illustrated talk. Bringing photographic principles from her fine art background to a medium in flux, Varda's early films are striking and raw. Quickly becoming one of the most distinguished voices of La Nouvelle Vague (The French New Wave), alongside the likes of Jean-Luc Godard, Chris Marker, Jacques Demy and Alain Resnais, Varda's work continues to stand out as she brings serious issues to the fore through earnest, playful eyes. Donning playfully serious, or seriously playful eyes, we invite you to join Cinema Producer Tara Judah for a special illustrated talk that contemplates everything from Varda's ground-breaking use of colour to how her indomitable spirit and playful nature successfully shone a light on social inequality via a human potato suit! Expect quips, quotes and images as well as a quick guide to making positive social change with chicken wire and papier-mâché. A retrospective of the work of seminal feminist filmmaker - and matriarch of French cinema - Agnès Varda.